Children flourish when they find their calling early in life. Award-winning children’s entertainer Andy Zandy was no exception, beginning his performing career when he was just 11 years old! Twenty years later, Andy has become an expert in his field, bringing his high-energy action parties to over two thousand Bay Area kids each year. Andy hails from Seattle, WA, where he was born into a performing family that encouraged his early interest in the stage. Andy quickly accelerated from class clown to professional entertainer through early mentorship from professional magicians who saw his potential. He did his first magic show for kids in fifth grade, and by middle school, he was working in a magic shop, booking his own shows, and performing regularly for kids not much older than himself. 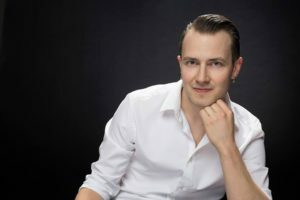 Andy then continued his education at the West Coast Wizards magic camp, where he studied stage magic, comedy, and act development under some of the best magicians in the nation. In high school, Andy’s performing interests grew to include theater, which led to several performing scholarships and a BA in Theater from the nationally-ranked University of Washington School of Drama. After moving to the Bay Area, Andy continued his study of performance at the San Francisco Clown Conservatory, where he added the arts of slapstick, acrobatics, and physical comedy to his repertoire. Shortly thereafter, Andy developed a love for fitness and martial arts, eventually leading him to Thailand to study under world kung fu champion Iain Armstrong. Andy always features the birthday child as a special helper at his shows, ensuring that your little guy or girl will get to feel like a rock star in front of all their friends on their special day. By making your child the star of the show while engaging all their friends, Andy gives you a well-deserved opportunity to sit back, relax with the other parents, and enjoy watching your little one have the time of their life. Andy has extensive experience working with shy children and is happy to take special needs into account, ensuring that there will be a comfortable level of engagement available for everyone at your party. 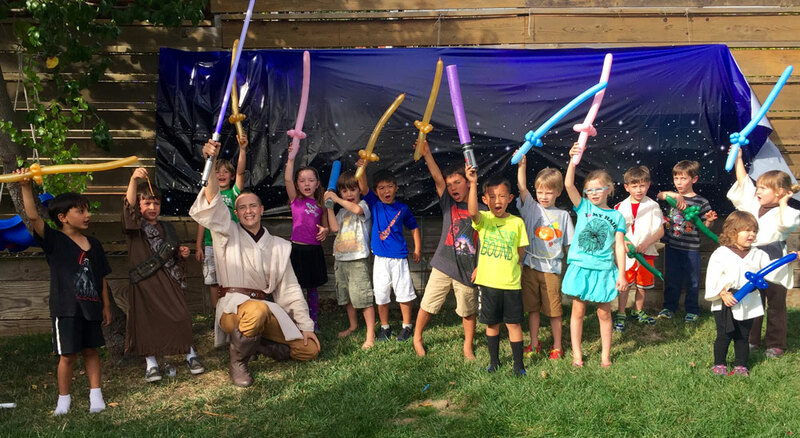 If you’re looking for the action-packed, high-energy Bay Area birthday party entertainment for kids, you’ve arrived! Schedule today before your date is reserved by someone else: there is only one Andy Zandy to go around! READY TO GIVE YOUR CHILD AN UNFORGETTABLE BIRTHDAY EXPERIENCE?